The Conquests of Spanish America curriculum units were written by teachers who were enrolled in History 686: The Conquests of Spanish America course with the UNM Department of History in Summer, 2009. 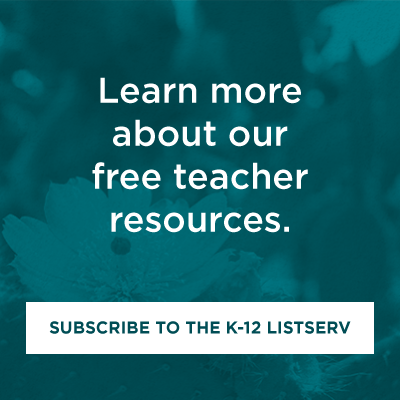 With guidance from Dr. Kimberly Gauderman, these teachers created extensive lesson plans that linked New Mexico history to the conquest of Spanish America. With their permission, we share here the curriculum they developed in conjunction with the course. Suggested grades range from 5-12. Students will begin by considering how heroes and villains are made and therefore begin to see that bias greatly influences who is deemed a hero and who a villain. We will look at the complexities of the phenomenon of "trashers" and "vindicators" (as Dr. Gibson refers to the opposing parties in the dispute over who is revered historically). Finally we look at two female historical figures (Malinche/Malintzin and Pocahontas) to begin to analyze how myths have emerged about them as well as how they have weathered the test of time within the framework of "trashers" and "vindicators." Doña Marina/Malinche: Victim, Traitor, or Survivor? These are three lesson plans that can be added to a European Exploration unit. 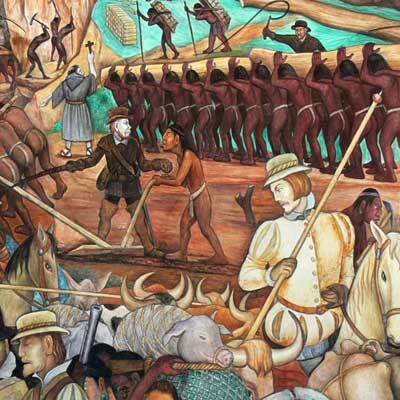 The subjects of the three lessons are Oñate, the Pueblo Revolt, and Po'pay. Students will understand the roles of Oñate and Po'pay in New Mexico history. Students will understand events leading to the Pueblo Revolt. Fifth grade students tend to view issues in very "good guy versus bad guy" terms. [These lessons lead students] to look at issues critically and to realize that one must always look at the different points of view of the "players" in history. By learning the stories of Oñate and Po'pay, and looking at the controversy of the statues, students will understand Spanish viewpoints of conquest and exploration and the points of view of the Native people and how European exploration and settlement effected them. Building a unit of study regarding the conquest of Mexico for students in New Mexico poses a bit of a challenge. Obviously Cortés and Columbus never came to New Mexico. These names are mentioned only briefly in the standards. But the same system of expansion used on the Mexica people in what is now Mexico was put to use in New Mexico as well. Since there are greater resources available for studying the conquest of Mexico than of New Mexico, a strong foundation in the patterns of conquest will enable students to "read between the lines" of the New Mexico sources. Students will analyze the patterns of Spanish expansion in the Americas by defining it, describing the primary characteristics of it, and creating analogies by explaining it to other people. The unit is designed to allow students to "be" historians, look for patterns in history that are larger than the individuals who participated in them, and challenge different interpretations. Students will learn about pivotal people and events and how they shaped New Mexico history by "following" the Camino Real from Mexico through to New Mexico. It is important for students to have a framework for understanding the Spanish colonization of New Mexico and its effect on indigenous peoples here. This is also a unit focusing on change as it relates to a meeting of different cultures and the effects of human interaction. Artifacts, primary documents, literature and music will be used whenever possible to complete the historical picture. Use of these items will provide hands-on opportunities for students to participate in understanding and appreciating history. From this unit students will gain new knowledge and understanding of what a "bias" is and how it comes to be. Using the events in the lives of the early Spanish Conquistadors, their Native allies, and their foes, they will be able to analyze and define the different shapes and symptoms of bias, and come to an understanding of how it is currently shaping their thoughts, culture, and world. This unit consists of three lesson plans that first introduce some of the controversy over public art that celebrates Oñate and then guides students into analysis of several Oñate documents and finally gives them the chance to present mini-documentaries about these documents to their classmates. In this unit, the mini-documentaries are produced using iMovie, but could also be done with Windows MovieMaker. Of course, low-tech options, such as posters, also exist.